Pre Box S2 Digital marks a new era for our S-series components. For the very first time we are using a dual mono configuration with the highest class D/A converters of ESS Sabre. Their flagship DAC-chip ensures highest class audio in a small and affordable package. 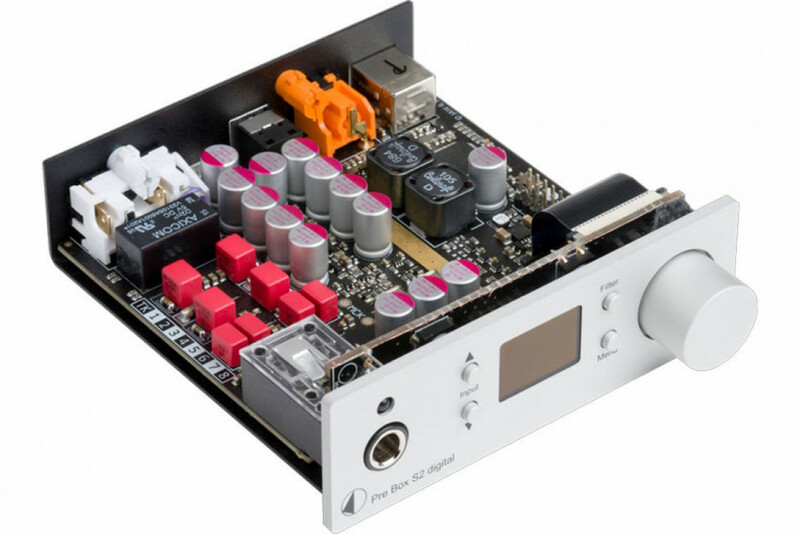 This DAC is capable of high resolution audio up to 32bit/768kHz PCM and DSD512! Pre Box S2 Digital is also the very first of our devices to support hardware MQA unfolding. It’s also the premiere of our proprietary Optimum transient digital filter and our pro-prietary clock circuitry design. Digital audio is the art of time, with our new proprietary clock design we have managed jitter rates of unrivalled 100 Femtoseconds, this easily outperforms many renowned and respected audiophile clock generators! With organic polymer capacitors and thin film miniMELF resistors we were able to create a tiny device that will blow away even much bigger components for a much higher price. With a total of seven digital filters the sound can be shaped precisely to the listeners lik-ing. Pre Box S2 Digital is fully remoteable, it can also control the playback software of a computer. You can use Play, Pause, Forward and Rewind straight with your Pre Box S2 Digital! • Jitter as low as 100 Femtoseconds!